Alex’s life as a teenager in South Central LA is far from perfect, but it’s his life, and he knows how to live it. He knows what role to play and what things to keep to himself. He’s got it all under control, until one lousy pair of shoes kicks him out of his world and lands him in a foster care group home. Surrounded by strangers and trapped in a life where he could never belong, Alex turns to the only person lower on the social ladder than he is: a “special” mute boy. 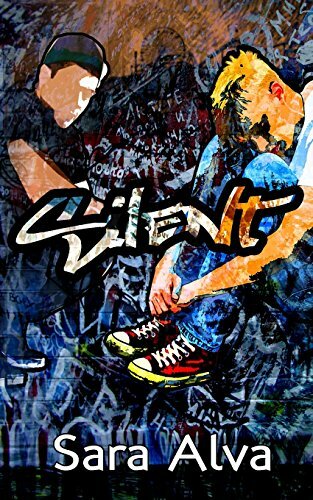 In Sebastian, Alex finds a safe place to store his secrets—those that sent him to foster care, and the deeper one that sets him apart from the other teenagers he knows. But Sebastian has secrets of his own, and when tragedy rips the two boys apart, Alex will stop at nothing to find the answers—even if it means dragging them both through a past full of wounds best left buried. It might just be worth it, for the slim chance at love. Sara Alva is a former small-town girl currently living in big-city LA with a husband, two cats, and an avocado tree. She recently discovered-- after a year in her house-- that she also has a fig tree in her backyard, which might mean she needs to get out more. But sometimes the stories waiting to be told demand more attention, and when she puts fingers to keyboard, it's usually to write about journeys of self-discovery, heartache, personal growth, friendship and love. When she isn't writing, she's teaching or dancing. For information, free reads and news on upcoming releases, visit http://SaraAlva.com/.